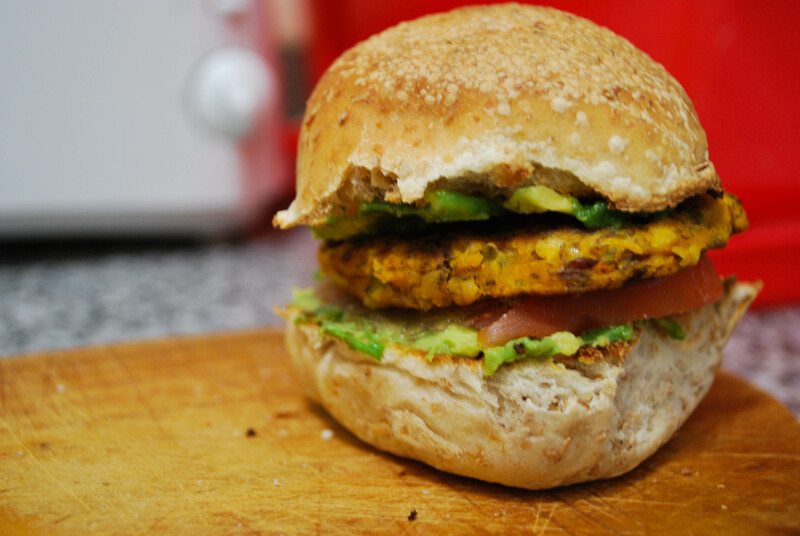 Ready made veggie burgers often contain eggs or root vegetables, so I love making my own from scratch. You can customize them with whatever you want and they are completely fresh, not like some pre-packed frozen mystery food. 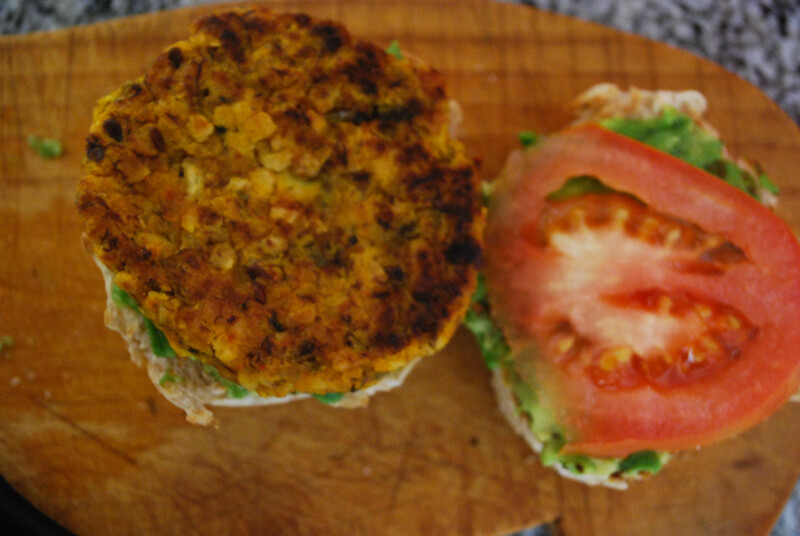 Here is a new type of veggie burger patty I tried making a couple days ago, and it turned out delicious! Stir all ingredients together until evenly blended. Store in an air-tight container. Begin by prepping all ingredients and vegetables. Boil calabaza on high, covered for about 12-15 minutes until it is soft. At the same time, boil the plantain with a little bit of olive oil for about 5-7 minutes. Drain both and place in a large mixing bowl. Mash together with a potato masher until smooth, or you can even place it in a food processor if you have access to one. Heat a nonstick pan on medium flame. OR if you have those nifty portable griddles for pancakes, that would work really well too. Scoop the veggie burger mixture onto the pan, and press down with a flat spatula or the back of a spoon. Drizzle olive oil over the patty and around the edges. Cook on low-med heat for 5 minutes, flip and repeat. The patties will feel really soft, so be careful. Once both sides are cooked, place in a dish to cool. The patties will set perfectly once they are cool. Store in an airtight container in the fridge, or you can even freeze them for later. 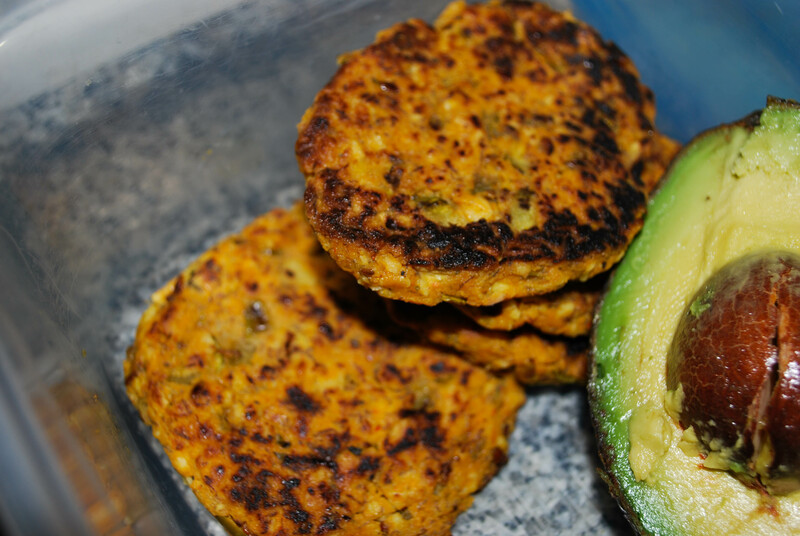 There are many ways you can eat these burger patties. Crumble them over a fresh spinach or arugula salad. Eat them warm with the spicy sauce of your choice, or even ketchup. Use them in a panini, or a wrap! But to make the traditional “veggie burger” I like to pair them with some arugula, fresh avocado slices, sliced tomatoes, and Taco Bell Mild sauce or the verde Tabasco sauce. Another great spread pairing with this burger is a cucumber-yogurt raita dip to cool off the heat. 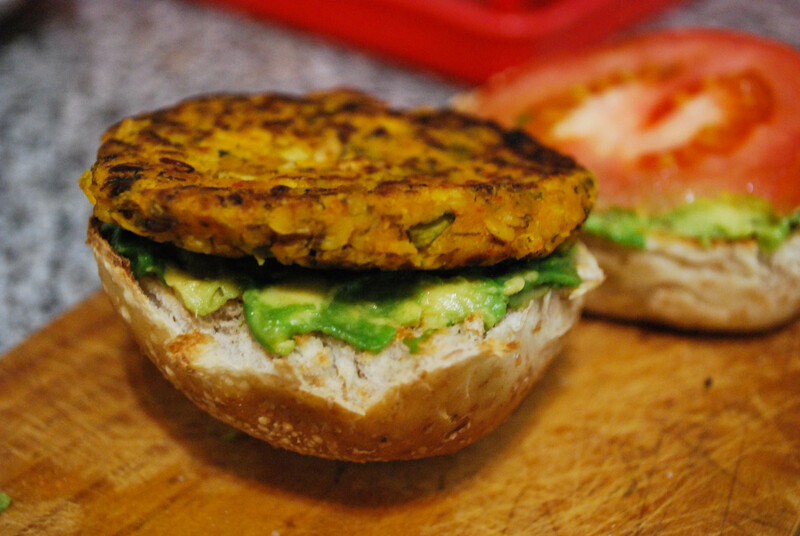 Veggie burgers are really versatile. All you really need to know is that you need a binder like oats, a mushy vegetable or beans (plantains work great!! ), and spices to flavor. With this, you can virtually make any type with any flavor you like. Here are some creative ideas I have tried. I can post specific recipes soon! 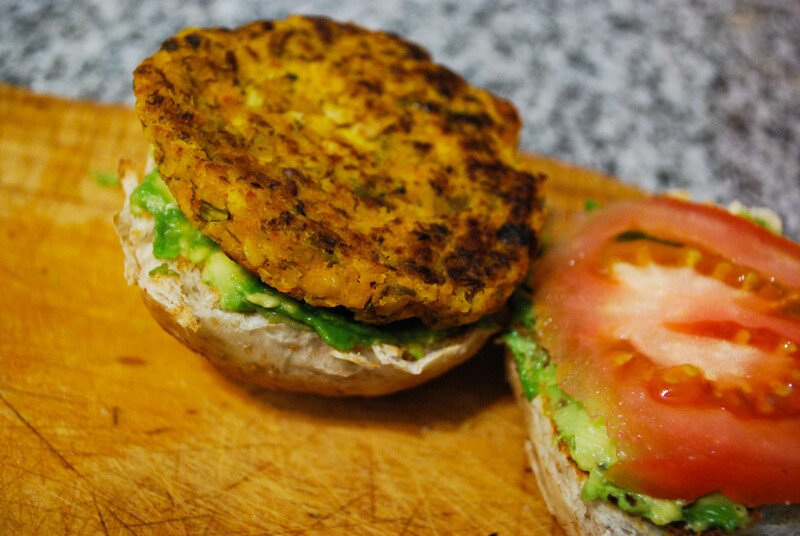 …and make some Jain Sliders! (recipe coming soon!) and if you have left-over Vegan Chilli…how about some Chilli-Cheese Quesadillas?? The possibilities are endless!